And the 1st prize for the ethnic accessory collection of the season goes to....Mango! The SS2012 jewellery line from Mango looks just as exotic as its namesake sounds. Tropical shades of lime, fuchsia, lemon and an orange hue like that of a sun setting over a desert island on a hot summers night (ahh...how poetic!). 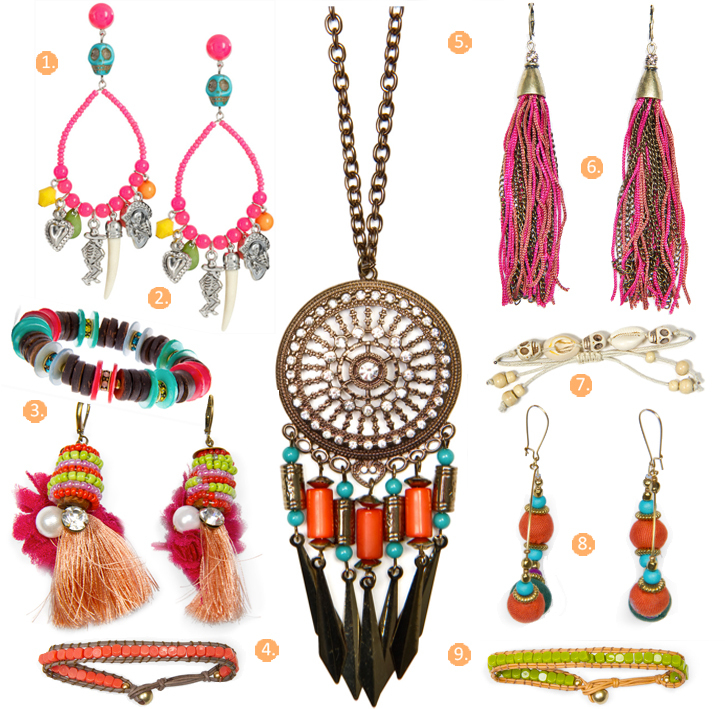 So, if you fancy adorning yourself with a dose of Aztec bohemia, skip on over to Mango for some skull beaded, tassel dangling accessories that are sure to get your summer off to a bold start. For more ethnic inspired fashion and accessories like this, check out my Lyst page or click the links above. So many designs in every color. The best use of beads is available here.